LoMIS Stock is an electronic stock management tool, developed by eHealth Africa as a part of a suite of mobile and web applications that address supply chain and logistics challenges in health systems, especially in Northern Nigeria. LoMIS Stock helps health workers report and keep track of vaccine stock usage and availability at the health facility level. Using these reports, their supervisors can prevent stock-outs at their health facilities by ensuring that vaccines and other commodities are always available. The information from LoMIS Stock also gives governments the real-time data that is needed to plan programs and interventions and to resolve issues. The LoMIS Stock solution was introduced to Kano State in 2014 and is currently the official logistics management tool for Kano State Primary Health Care Management Board (KSPHCMB). Currently, the State cold store, all 44 Local Government cold stores, and 484 apex health facilities in Kano send weekly reports using the LoMIS Stock application. 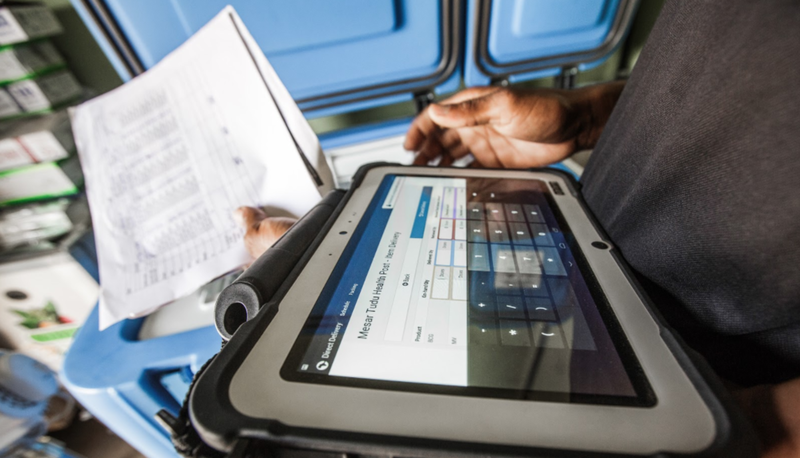 Although health facilities reporting times have dropped by over 50% and reporting rates have tripled since the introduction of LoMIS Stock, certain facilities in hard to reach areas were consistently unable to send reports due to mobile data network challenges. 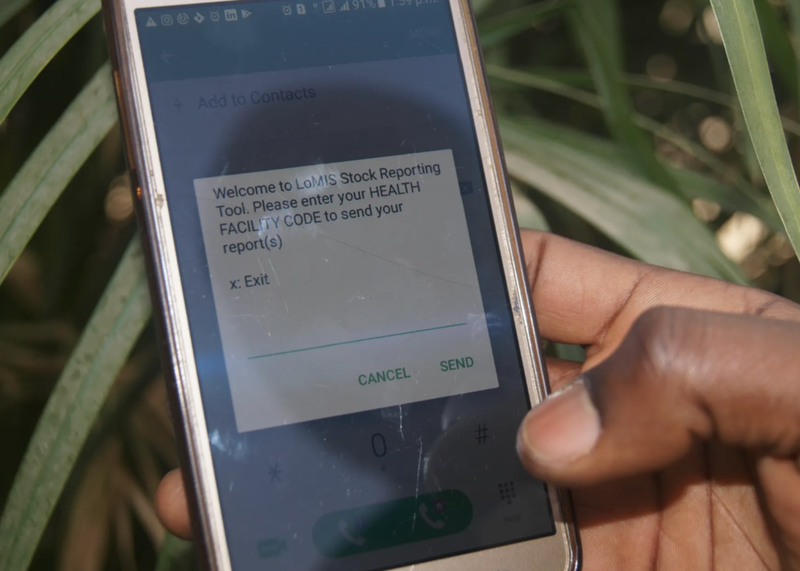 Gleaning from lessons learned from a similar challenge encountered with our electronic Integrated Disease Surveillance and Response System (eIDSR) solution in Sierra Leone, eHealth Africa added an SMS compression feature to the LoMIS Stock application. In Sierra Leone, we have recorded a significant improvement in the number of facilities that send timely reports using the eIDSR application. Health facility workers in Sierra Leone use eIDSR to collect data offline on epidemiologically important diseases and send surveillance reports. Initially, in areas with poor connectivity, the application would store the reports and submit automatically as soon as an internet or mobile connection became available. However, this meant that such facilities didn’t always meet the targets for timely reporting. Introducing the SMS compression feature enabled health workers in the defaulting facilities to send their weekly reports using a USSD short code if an internet connection or mobile data was unavailable. Thanks to this feature, all the districts in Sierra Leone consistently exceed the World Health Organization (WHO) African region and national report completeness and timeliness targets. The USSD feature for LoMIS Stock has been piloted with the pharmaceutical department of KSPHCMB to monitor incoming and outgoing stocks and the results have promising. In the first month, the stock count report at the pilot health facilities shows 100% stock sufficiency reporting and 0% wastage. After the pilot period, the feature will be rolled out to all departments of KSPHCMB to allow better reporting and increased efficiency across health facilities in Kano state. Innovative problem solving is one of our values at eHealth Africa and this is an example of how eHA develops context-specific solutions to problems in healthcare delivery. One of the primary challenges facing routine immunization (RI) in northern Nigeria is a poor vaccine supply chain system which causes consistently high stock out levels. High stock out levels occur when vaccines are not delivered on time and are exacerbated by limited cold chain equipment (CCE) to keep the vaccinations viable. High stock out levels cause low RI coverage because there are fewer vaccines available when needed. Leveraging eHA’s geographic and information systems (GIS) capabilities to optimize delivery routes (including rugged terrain as pictured), reduce cost and maximize efficiency. Collecting, analyzing and reporting data to provide custom delivery workflow support through a near real-time electronic data collection application - Logistics Management Information Systems (LoMIS) for stock level summaries via an integrated reporting dashboard. VDD is a proven and effective model which enhances the efficiency and quality of Nigeria’s vaccine supply chain network. In collaboration with partners, VDD is implemented by eHA across some of Nigeria’s northern states specifically, Kano, Bauchi, and Sokoto. The program has had a proven and large-scale effect across northern Nigeria. The project has succeeded in improving both access and availability of healthcare for underserved populations, by enhancing the local vaccine supply chain network. It ensures that key and priority antigens are available, as evidenced by the low stock out rates, and are a major contributor to improved RI, especially for children's health. In partnership with the Sokoto State government, eHealth Africa (eHA) just launched a vaccine delivery and immunization campaign to address supply related gaps in Sokoto State, Nigeria. Recently concluded phase of the Vaccine Direct Delivery (VDD) campaign in Kano State saw over 7 million doses of antigens delivered and 4.6 million children immunized. Building on this success, eHA will be engaging Sokoto State as a third party logistics partner to optimize the timely delivery of vaccines and routine immunization supplies across all 23 Local Government Areas (LGAs) in the state. VDD will be implemented to support demand creation activities and address supply related factors on routine immunization uptake. It will provide a reliable vaccine delivery service for state Primary Health Care (PHCs) facilities in the state, allowing them to run monthly Immunization Plus Days (IPDs) in addition to regular vaccination clinics for children under five. “eHA is contracted to deliver vaccines to health facilities at the wards across all 23 LGAs in the state. The project, which kicked off on 13th December of 2016, is expected to run for 12 months and work with over 80 (PHCs) in Sokoto State. Health facilities will be clustered by Wards/LGAs in order to examine the effect of demand creation against improved supply over a 6-month period. “Part of the mandate is also to help collect sharp and other wastes from the health facilities we make deliveries to, and deliver back to the cold stores,” Lawan added. Several immunization programs across all 36 Nigerian states have seen a steady increase in vaccination coverage over the past decade. According to a 2014 report by the National Population Commission (NPC) of Nigeria and ICF Macro, full vaccination coverage of children aged 12-23 months was highest in Imo State (62.4%) and lowest in Sokoto State (1.4%). The project will monitor and inform eHA, the Sokoto State government, and other stakeholders on the effect of improved vaccine delivery on childhood routine immunization in Sokoto State. The results of these research activities are expected to present an overall picture of the extent to which improving vaccine supply chain affects routine immunization coverage in Sokoto. eHA will engage the state government through Routine Immunization officers who will track demand creation activities in their health facilities. Current routine immunization coverage information in Sokoto will also be documented using a desk review and analysis of District Health Information System (DHIS2) data. This research will be used to create a benchmark for evaluating the expected outcome of improving vaccine supply chain and delivery in Sokoto.